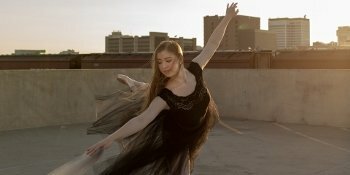 In 2012, Ballet Wichita became the first sponsoring dance organization in Kansas accepted into the National Honor Society for Dance Arts (NHSDA). In this role, Ballet Wichita acts as an overseeing agency, monitoring each dancer’s activities to ensure that any dancer in the state who wants to pursue membership in the NHSDA meets the strict induction guidelines and receives recognition for their accomplishments in dance. As the chapter sponsor, Ballet Wichita honors high school students for the countless community service hours and publicly acknowledges the leadership skills they develop and foster through the discipline of dance. These skills include meritorious work in dance; developing and providing leadership/arts administrative skills such as assisting with and organizing fundraising events and activities; and creatively promoting the company’s vision in the community. All high school aged dancers are eligible to be involved in the Dancer Council. To the National Dance Honor Society Seniors who will be leaving the Ballet Wichita family, we wish them much success; we are extremely grateful to them and their families for all they have contributed as members of the Ballet Wichita community. Runway Pursuit is an art and dinner show choreographed by our Artistic Director Alex Ossadnik. The show includes Art & Dinner, Dance & High Fashion, Original Music, & Great Company. 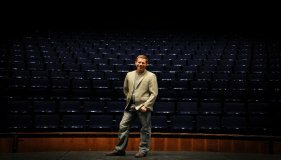 Meet Our New Artistic Director! Alex Ossadnik is a world-renowned teacher, ballet master, choreographer, and director. His amazing productions will keep you on your toes! We are excited to be offering classes for dancers of all levels taught by our Artistic Director, Alex. Take your dance skills to the next level by being a student of an exceptional ballet master! Classes are held weekly. Consider giving a gift to Ballet Wichita today. Your contribution comes to life through our education and outreach programs and time-honored ballet productions. © Ballet Wichita. All Rights Reserved.